The start of 2019 saw our Weber competition which was a big hit with traders. 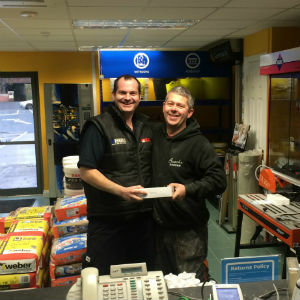 Here are 2 of our lucky winners of free Weber products: Andrew Porter and Neil Tudor of Tudor Tiling. Well done guys! 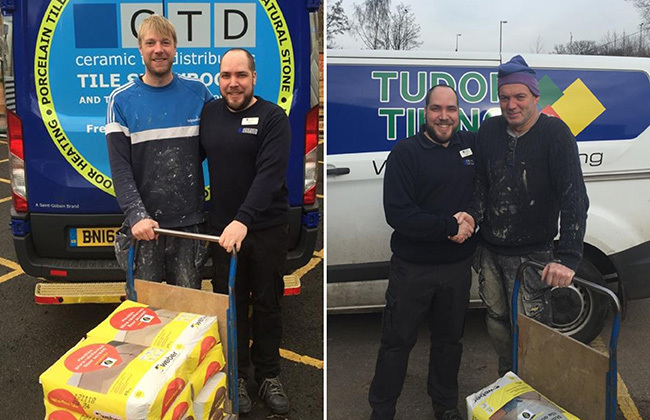 CTD Carlisle's Sean has been busy handing out prizes to lucky competition winners from the CTD Carlisle March trade event. 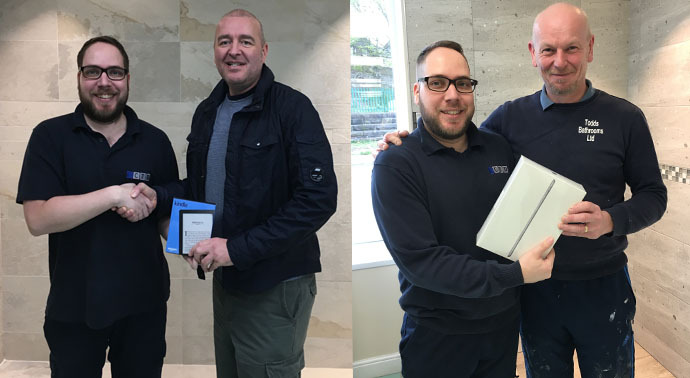 Congratulations to Elio from Garden of Carlisle Tiling won an Amazon Kindle & Richard Todd of Todds Bathrooms Ltd won an Apple iPad. 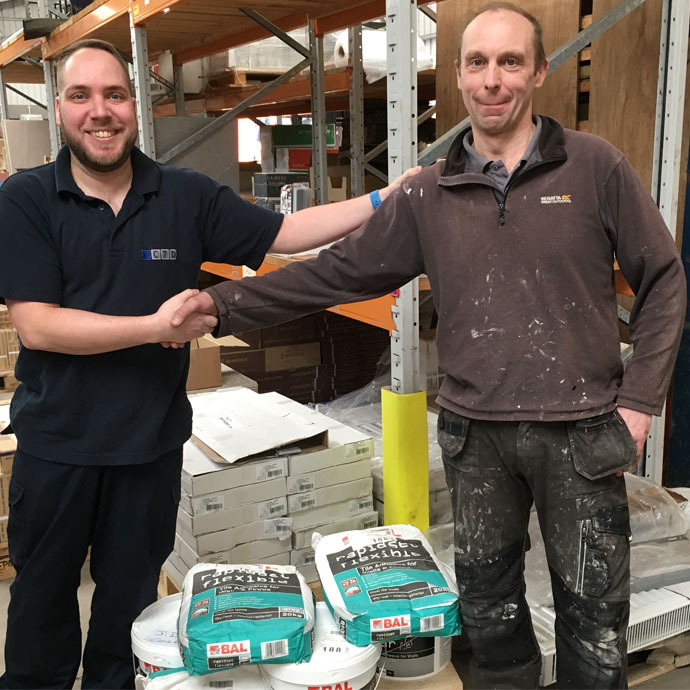 We would also like to give a huge shout out to Jonathan Dodgson of J Dodgson Plastering & Tiling, winner of the BAL win your weight in adhesive competition.Read our latest blog to find out who took the grand prize from the Win a Van with CTD & Bal Competition here. Congratulations to our recent CTD Carlisle raffle winners. 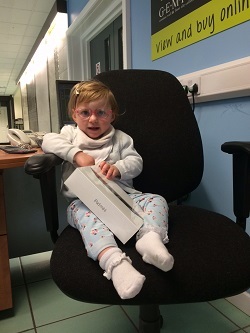 Gordon Bell - Apple IPad Mini 2! Craig McWhan - Apple IPad Mini 2! 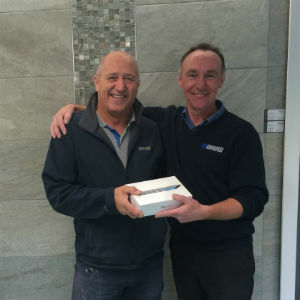 Dean Johnstone won an Apple IPad Mini 2 from Novembers competition. Tony Boyd donated his prize to Ella, who suffers from a rare genetic condition called, Lissencephaly. The condition affects one in twelve million children - You can find out more about Ella on her Facebook page “Ella’s World”. 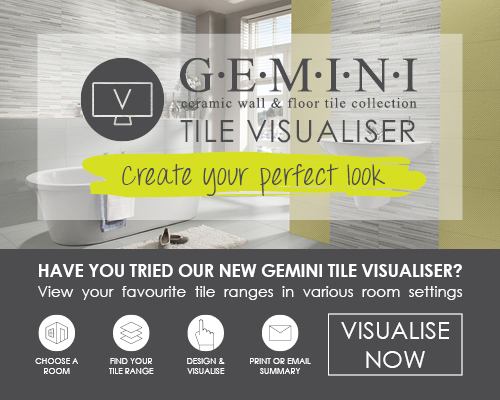 Keep an eye out in store for upcoming trade events for your chance to win. 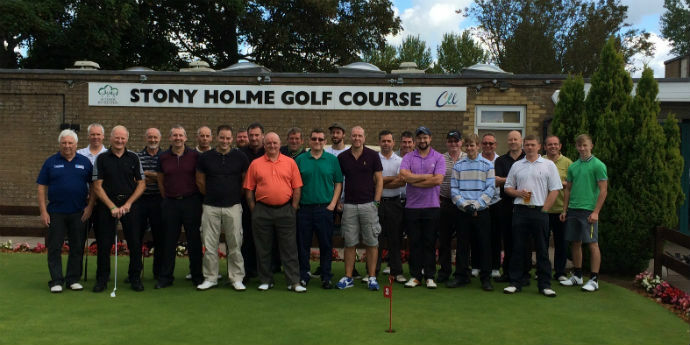 In aid of our previous corporate charities “Together & Macmillan Cancer Support' programme, CTD Carlisle has been known to host an annual charity golf event. The event usually takes place on the Sunday before the August bank holiday Monday. We are aiming to hold an event again in the future on the same Sunday. A great day was had by all and as you can see we have been fortunate enough to have great weather too!